WHETHER YOU HOPED to buy in 2018, just tried to keep an eye on the value of your home or chose to remain in the tumultuous rental market, 2018 saw a lot of changes in the housing market. While plans for new housing got the go ahead, we introduced new laws to protect tenants, thousands marched against homelessness in Dublin and Rent Pressure Zone laws were criticised as a failure. But what did an economist make of it all? In a two-part series, we speak to Ronan Lyons, who gives us the inside track on what happened this year in the property market and what it means for renters and homeowners alike. The overall trend for the last five years has been one of strong demand and weak supply, says Lyons, and this year was no different. But there was one new development this year – things got slightly better for those who were in a position to buy. The thing that’s changed is that over the course of 2018, the sales market picked up. There was an increased availability of new housing which eased up pressure for sales. Similarly for those who already own property are generally better off at the start of 2019 than they were at the start of this year – “if you own a property, you’re better off for nominal wealth.” Unfortunately, those on the rental market haven’t been so fortunate. The rental and sales market are experiencing “two quite different trends”, says Lyons: “Rents are increasing at a faster rate than last year – about 10% year-on-year.” And the bad news is this isn’t set to improve for a few years – while there’s been a huge increase in planning permissions, new builds tend to take around three years. “It should be 2021 before this converts into additional homes for people”, says Lyons. 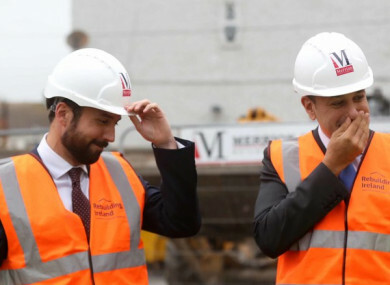 He also notes that quite a few of these apartments are going to be for downsizers in wealthy areas near Dublin city – such as Lansdowne Place in Ballsbridge, Mount Argus in Harold’s Cross and Marianella in Rathgar. Lyons estimates that we need about 40,000 – 50,000 new homes each year to meet demand – based not just on population growth but other things like changes in household size. Though we have a surplus in new family homes, we need to build “other types of housing you see in mature markets” such as student accommodation, assisted housing and urban apartments for young professionals. Lyons says that the three key measures that we need to tackle are bringing construction costs closer in line with our monthly earnings, providing cost-rental social housing (we’ll explain what that looks like below) and regulating land use for vacant properties. Unfortunately, “these three issues remain untouched after five years”. Earlier this year, a number of TDs criticised the Rent Pressure Zone laws when it was found that rental rates have continued to rise this year. Lyons sees their failure as two-fold. Firstly, the onus is on the tenant to check that they’re not paying more than 4% higher than the last tenant, though currently there is no way of checking this. And even with the proposed publicly listings, these figures can still be hard to confirm. Though public discussion has sometimes focused on creating better management of existing housing, Lyons says that addressing vacant housing “will take about five years and is not the only solution”. He suggests instead that we need to cater for those who aren’t able to afford to buy a home by introducing a cost-rental system. Email “5 of the most important developments in the property market in 2018, according to an expert”. Feedback on “5 of the most important developments in the property market in 2018, according to an expert”.